You’ve dreamed about it since you were a kid: riding the open road, wind in your face, not a care in the world. Or maybe two wheels is your chosen mode of transportation wherever you go. Either way, Maui is sure to please MOTORCYCLISTS— or even moped or SCOOTER RIDERS. Stunning oceanfront views paired with the majestic MAUI MOUNTAINS make for thrilling vistas. The fresh air and bucolic scenery found on the ride up to HALEAKALA is not-to-be missed. Riding a motorcycle and/or scooter also makes it easier to pull off to the side of the road when you want to watch surfers do their thing at HO‘OKIPA. Just remember to obey all traffic laws. For those seeking a more traditional scenic pedal, renting a standard bicycle is a fun way to travel the Valley Isle. 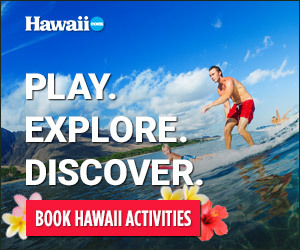 Local providers include ALOHA BIKE TOURS (mauibike.com), HALEAKALA BIKE COMPANY (bikemaui.com), MAUI DOWNHILL BICYCLE SAFARIS (mauidownhill.com), ADVENTURE MAUI (adventuremaui.com) and MAUI SUNRIDERS (mauisunriders.com). Outfitters provide equipment, various bicycle rentals, trail maps and guided tours, among other services. Ask your concierge to point you to the nearest bike rental—and get going!